I love fajitas, but have never been brave enough to try to recreate them myself (the whole here they come on a giant sizzling plate dripping in juicy-ness thing can be a little intimidating, right?). The typical cut of beef used for steak fajitas is flank steak or skirt steak,. But if you're a woman who knows very little about cuts of steak like me, you might pick up the wrong cut of beef at the grocery store because it was stocked on the wrong shelf... so here I am with 2 lbs of boneless beef chuck steak. Two completely different parts of the cow. 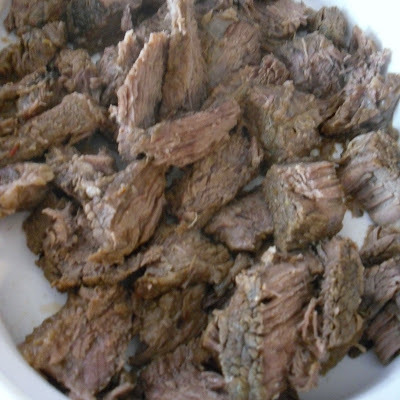 The challenge with boneless beef chuck steak is its from the shoulder of the cow and is tough and needs to be marinated and slow cooked to break down the connective tissue. This recipe requires marinating and slow cooking (braising) the steak in a dutch oven so it's fall apart by the time dinner comes around. 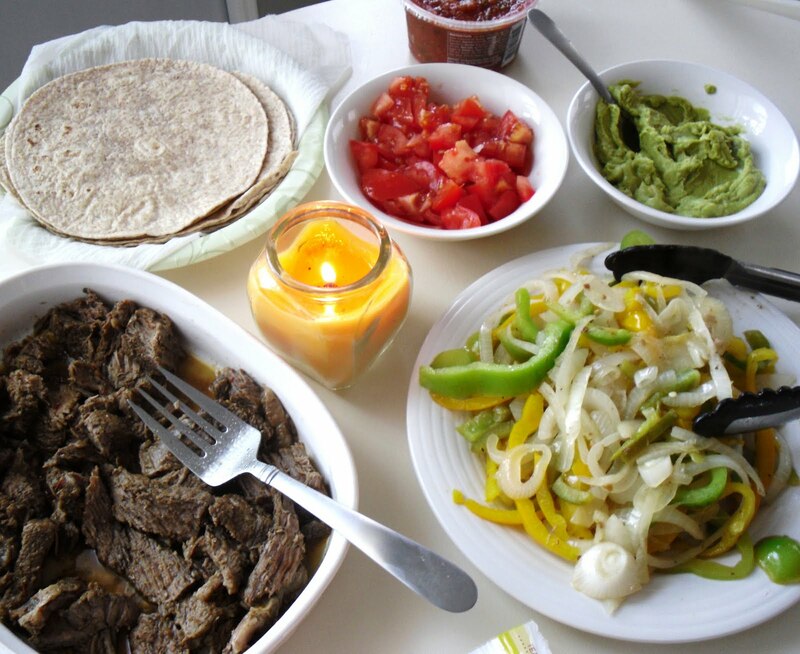 The marinade recipe is essentially taken from this Tyler Florence fajita recipe. I added some jalapeños and exchanged the freshly juiced orange for 1/4 cup of Simply Orange juice, maybe a little extra garlic as well (I can never get enough). I also trade his immersion blender for a mini food processor. This marinade comes out a beautiful bright orange with flecks of red and green. If you do buy flank steak or skirt steak (like I originally intended to), I would follow Tyler's recipe for how to grill it. I can't wait to use this marinade for chicken and shrimp fajitas as well, so yummy! There are some delicious red Spanish wines that you can pair with this meal. 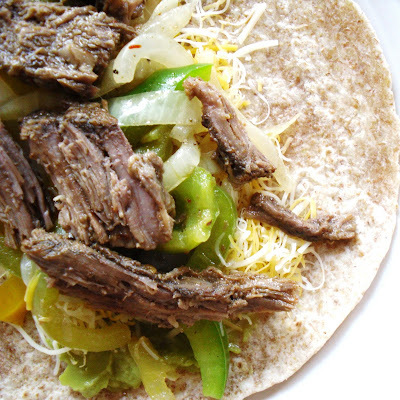 Though fajitas are not a Spanish meal, but more-so Mexican (maybe even more-so Tex-Mex cuisine), you can still try to make it seem more authentic with some spicy Spanish red wines, such as Rioja (a blend of several grapes from Spain or if you can find a bottle of Grenache (called Garnarcha in Spain). For your non-wine drinking friends (first, consider getting new friends), set out a bucket of Coronas and limes or make up your own Sangria to sweeten a bottle of wine up with fruit and brandy. Happy Cinco de Mayo! 1. 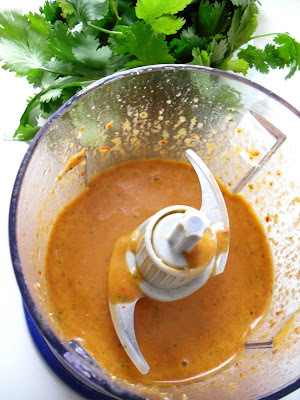 Combine all marinade ingredients in a mini food processor and blend until smooth. Should yield about 1 cup of marinade. 2. Combine marinade and meat in a large resealable plastic bag and marinade overnight. 3. The next day, heat a small amount of vegetable oil in a dutch oven over medium heat on your stove. 4. Brown the beef for a minute or two on each side. Add marinade and a 1/4 cup of water. Bring to boil then reduce heat to low and cover. Simmer for 2-1/2 hours, checking beef and turning over ever 30 minutes. 5. 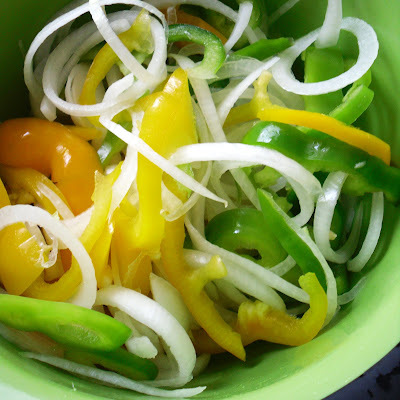 When beef is nearing finished, combine thin slices of peppers and onions with lime juice, olive oil, and salt & pepper in a large bowl and stir to coat. 6. When beef is falling apart, remove from dutch oven and slice into thin pieces. Ladle a few small spoonfuls of remaining juices on top of sliced beef to keep moist. Cover or place in oven on warm to keep warm as you prepare the rest of your spread. 7. Discard of all but approximately 1/4 cup of juices from the dutch oven. Return to medium heat. Add peppers and onions and cook, stirring frequently until just tender. Remove from heat and arrange on plate. 8. 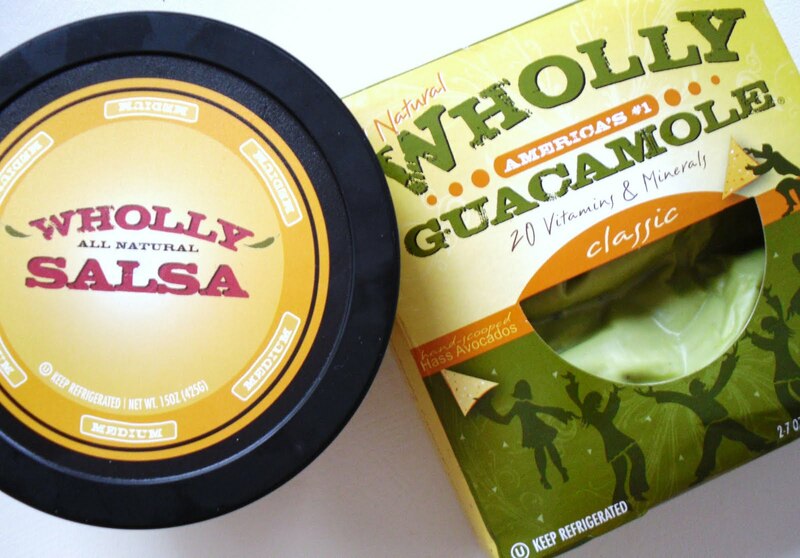 Set out salsa, guacamole, cheese, peppers & onions, beef, and tortillas (warmed according to package directions) and start assembling your delicious fajita!